Click the Easter Egg to learn about some egg decorating & hunting history! And to enter my own Easter time giveaway! Brightly colored eggs, fun hopping, and a chance to win a $150 gift card! Match the egg to the author by 1) drawing a line between them, or 2) writing the author’s name next to their egg, or 3) writing the number of the egg next to the author’s name. When you have all 30 matches, either e-mail a picture of the form (2 pictures since there’s 2 pages) or send an e-mail with the author’s name list with their matching egg number. 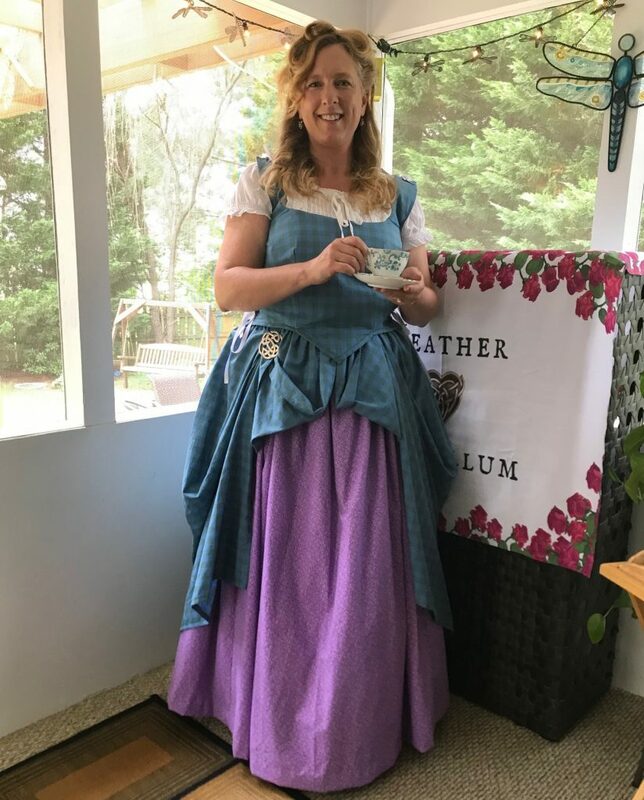 E-mail to Heather@HeatherMcCollum.com by 11:59 PM ET on 4/20/19 to be entered into the $150 gift card giveaway! Grand prize winner will be announced by noon on Easter (4/21/19). 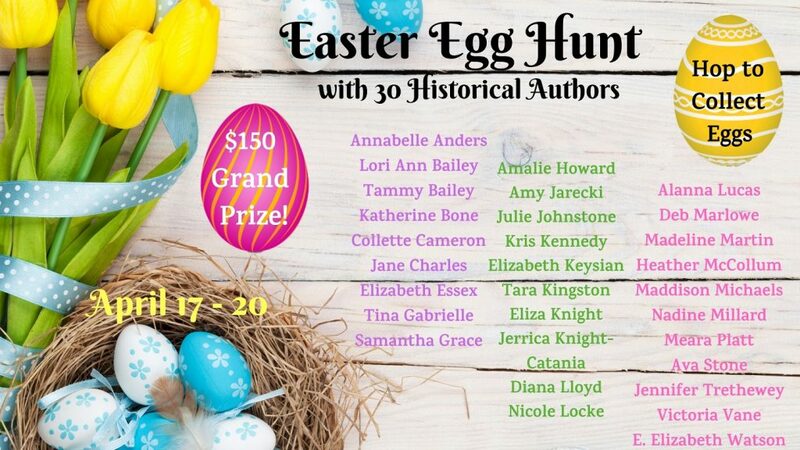 While you are hopping to collect eggs, don’t forget to like, follow, or sign up for the author’s newsletter to keep up to date on their new releases and author wanderings. Here’s the list of links so you can keep hopping! Feel free to explore the different rooms in McCollum Castle to find historical tidbits and fun recipes. My books, with links, are shelved in the library. And to stay up-to-date on all my releases and author adventures, please subscribe to my newsletter (form below). 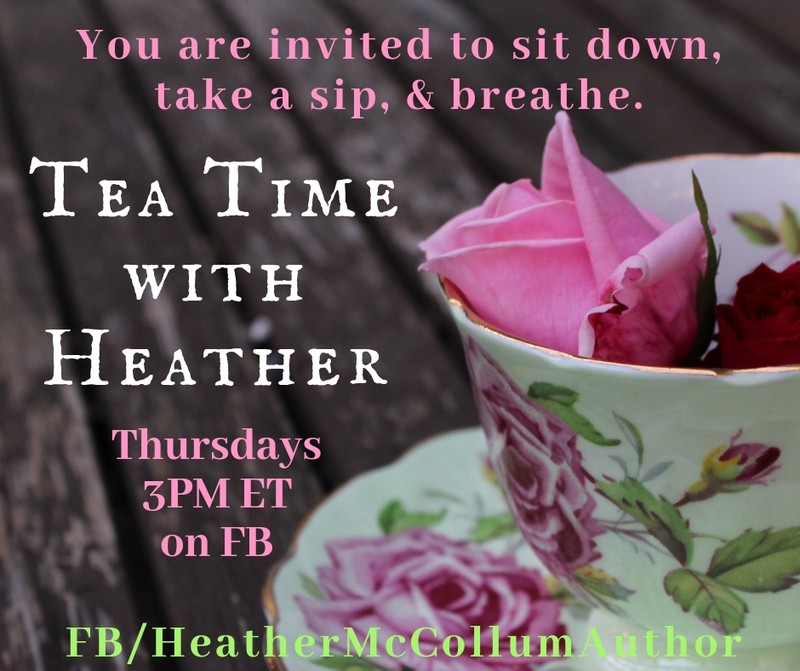 Join me for tea (or coffee or anything that refreshes) every Thursday afternoon at 3:00 PM ET on my FB page (Heather’s Author FB Page Link). Some weeks I’ll have formal Afternoon Tea. Some weeks I’ll show up in my cozy pants and t-shirt, frazzled and needing more than anything to sit and breathe. You are invited, no matter what’s going on or where you are. You are invited to sit, breathe, and take a sip. My hope is that we will all learn to prioritize the need to take a step away from the hectic whirl of life to just BE. In being still and taking moments for ourselves, we slow down the speed that makes life fly by way too fast. Living life to the fullest means taking time to notice it.